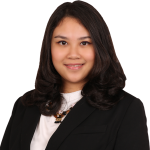 Masayu “Ayu” Octora is a researcher in BGA’s Indonesia’s office, assisting clients in navigating the dynamics of Indonesia’s political and regulatory environment. She brings to this role her expertise in political economic risk analysis, stakeholder mapping, regulatory assessments, and conflict resolution management. Ayu focuses on ICT, FMCG, and health & pharmaceutical sectors at BGA. Prior to joining BGA, Ayu worked at one of Indonesia’s largest media companies covering politics and business developments in Indonesia, under a fellowship program. Ayu obtained her master’s degree in international political economy from the London School of Economics (LSE) and Political Science in the United Kingdom, as an awardee of the Indonesian Ministry of Finance’s Endowment Fund for Education. She earned a bachelor’s degree in international relations from Universitas Pelita Harpan in Indonesia.